In 1989, a little girl was born on the 2nd day of February and named Elaine Fae. She is the fourth child in a brood of five. She is known for being petite and cheerful. Her physical features are a complete resemblance of her great grandmother and that is why she became her father’s favorite. During her toddler years, she always adored her sister. She wanted to be with her all the time – even at school. When her sister went to school, she asked her mum if she could join her class because she wanted to do what her sister does. Her mum agreed to her request and bought things similar to her sister – from uniforms to school supplies. Her sister, Eden is her best friend and her favorite among the siblings because their two older brothers are very strict. During Elaine’s third-grade, her parents separated. Her mother then raised the children all by herself. At an early age, Elaine learned to value hard work and teamwork in order to finish household chores all in one go and get onto things as early as possible. She also learned the importance of time management because her mum wanted them to get home before 5pm each day. She got used to curfews and the importance of obeying the strict rules from their mum. Elaine was part of a big family and as all of her siblings went to school, they lived on a tight budget. Because of that, Elaine learned to save money and actively budgeted. She saved money to buy her own things, hoping to relieve the financial pressure on her mum. In High School, Elaine worked hard to be part of the honour list to make her mum happy. She also took part in dance competitions and other extra-curricular activities to contribute to her grades in school – all with the aim of making her mum proud. Elaine’s mother always said to strike while the iron is hot because time is gold. Those words of wisdom imprinted in her mind and on her heart compelled Elaine to continuously do her best to achieve the highest pinnacle of her dreams. After High School graduation, Elaine was puzzled about what degree she should pursue. She thought of her sister and decided to follow in her footsteps of becoming a nurse. At college she took AHSE, a preparatory course for nursing and in her second year, she graduated AHSE with flying colors. She was rewarded with a silver medal at that time. 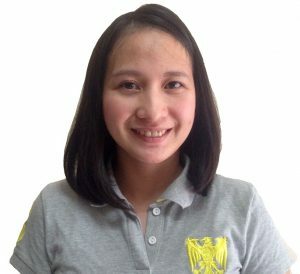 In her third year of nursing, Elaine encountered a lot of difficulties, but stuck with it – and her strong heart and determination helped her to succeed, finishing with a nursing degree in the year 2009. In that same year, she took the Nursing Licensure Examination (also known as NLE). She passed the exam and began working as a nurse for around 12 months. After that, she decided to pursue a Master’s Degree to make her mum proud, so she took Master in Nursing with 2 majors, namely Nursing Administration Services and Medical-Surgical Nursing. Later Elaine decided to open a business selling apparel and other items. She was also tasked to manage 2 condominium units for Airbnb and it was a very successful venture. On the 11th day of August in the year 2018, she gave birth to a lovely baby girl. Now, Elaine is happy as a housewife and a hands-on mum. She learned to value all the sacrifices her mum made. It hasn’t always been easy but every time Elaine looks at her daughter, she wants to strive hard like her mum did for her and her 4 siblings. Elaine knows she was a lucky child, and wants to somehow show her own daughter how her mum raised and looked after her. Elaine admits the work involved with raising a child is not easy, but seeing your baby’s smile is heart-warming. It is indeed the best reward a mum would ever want. For a copy of Elaine’s resume please click here.